An Aztec/Mexica city, Cuitlahuac (or Cuitláhuac in Spanish) is only briefly mentioned in the surviving accounts. For most of its history during the Aztec period in Central America it was a subject city. Relatively small, it was located on an island between the lakes of Xochimilco and Chalco, which must have made its inhabitants feel secure enough to refuse Aztec demands to obey them. Before that it had been subject to Tepanec control, until it was conquered by Tenochtitlan. Its only known ruler is right at the end of its pre-Colombian history. Mayehua was probably a priest, and he stood alongside the defenders of Tenochtitlan during its final days. Tepanec expands, taking control of Cuitlahuac during its conquests to the east of its location. Many other cities in the region are also conquered. However, while the Tepanec cities of Azcapotzalco and Tepanec originally seem to be part of a unified state, by the mid-fourteenth century at the latest they appear to become independent of one another for approximately a century, so perhaps other Tepanec conquests also become independent. The eldest son of Acamapichtli of Tenochtitlan is Huitzilihuitl. He proves to be a good politician, cementing alliances with other cities, and marrying the daughter of the ruler of Azcapotzalco, obtaining a reduction in tribute payments to that powerful ruler. He also joins his father-in-law in attacking other Aztec cities, including in 1403 Cuitlahuac and Mixquic. The latter is not conquered at this stage in its history, but probably has to pay tribute. The kings of Tenochtitlan are crowned in accompaniment with the subjugated Tetzcoco and the ruler of Tlacopan, all of them being members of the Triple Alliance which forms the Aztec empire. As primary leader of the alliance, Itzcoatl lays the foundations for the Aztec empire with victories over Tepanec and its subject cities of Coyoacan and Azcapotzalco (1428), Xochimilco (1430), Mixquic (1432), and Cuitlahuac (1433), and he also defeats Culhuacan, and Tezompa, securing agricultural resources and cementing the Triple Alliance's control of the southern half of the Valley of Mexico. Other cities have either already joined the alliance through marriage - including Itztapalapan - or treaty, or they now quickly do so. In Cuitlahuac's case, at least, the events of its own conquest are known. On the dual pretexts that the city is impeding trade and that its people have refused to attend a festival in Tenochtitlan, Cuitlahuac is attacked and defeated by Itzcoatl and is drawn into the growing Aztec empire. 'Glove'. Last ruler of Cuitlahuac. Fled to Tenochtitlan. 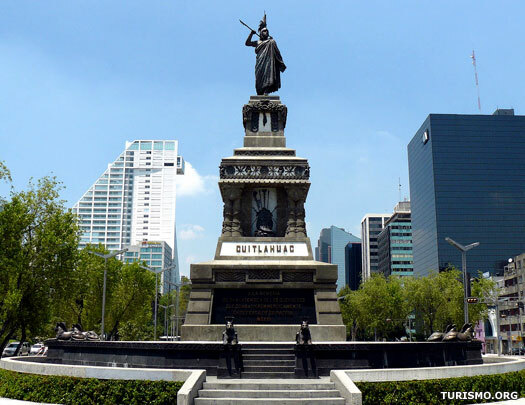 Despite being captured initially, Cuitalahuac of Tenochtitlan is freed and leads his people to drive the Spanish out of the city on 30 June. Unfortunately, he is claimed by smallpox, introduced by the Spanish into the Americas. Between thirty to forty per cent of the population is killed alongside him, drastically weakening the Aztec defensive efforts and making their final stand seem all the more heroic. Mayehua flees before the Spanish to take part in the Aztec defence of Tenochtitlan during the siege of 1520. 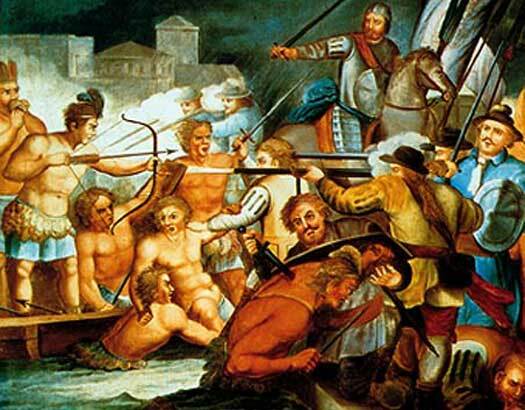 Sensing the tide of battle turning against the Aztecs, the people of Xochimilca and Cuitlahuac turn against them and take the opportunity to loot. The Aztecs attack them and capture many of the rebels. These prisoners are taken before Cuauhtemoc of Xochimilca and Mayehua, both of whom are still at Tenochtitlan. Each chooses four of the rebel leaders to be executed. Other Aztec-dominated cities are expressing anti-Aztec sentiments, demonstrating the fact that the empire is losing control of its subjects in the chaos of the war. In the following year, when Tenochtitlan falls so does Cuitlahuac. The entire region is subsequently governed from the colonial creation of Mexico City.